The idea for HacksLabs, a new platform to accelerate data-driven journalism projects, comes from years of frustration and wasted energy. At every meeting, hackathon or workshop, startups and ideas were born and quickly faded. Traditional media were in crisis because of falling print revenues and an unwillingness to produce interactive and data-driven journalism. Even with the creation of strong communities that push the boundaries through innovation, and that train themselves in data use, the lack of editorial decision-making leaves dozens of projects in limbo. At the same time, a large number of organizations are emerging whose worthwhile creations are not gaining the traction or audience they deserve. This is, we think, the niche of HacksLabs, a convergence point between communities, media and finance that can generate long-term value. 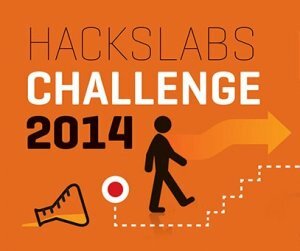 The first incubator for data-drive journalism in Latin America launched last week with HacksLabs Challenge 2014, which will grant a total of US$100,000 for Latin American projects selected in two rounds of competition. The goal is to be able to connect entrepreneurs, journalists and programmers with both new media and traditional media organizations that want to innovate and move ahead with great ideas that haven’t yet been realized. This program is part of my ICFJ Knight International Journalism Fellowship, and it is possible thanks to the support of the Knight Foundation, the World Bank Institute, the International Center for Journalists, and mentoring from Knight-Mozilla Open News. HacksLabs will provide funding, mentors and technical support for projects that articulate the movement of transparent data, data-driven journalism and citizen participation. Individuals and organizations can apply for grants at two levels: US$2,000 for short-term project development and US$10,000 for more ambitious projects that can be implemented by a news outlet in Latin America. What are we looking for? News applications, data visualizations, news stories told visually, interactive news, tools for analysis, and better systems that aggregate, organize or facilitate working with open data. The program is designed to help a wide range of players: entrepreneurs, journalism organizations, non-governmental organizations that focus on transparency, entrepreneurs and open data advocates who want to scale up their applications. In addition to project funding, HacksLabs will mentor the winners with expert guidance on the process of development, design thinking, functionalities and UX experience. HacksLabs will offer servers, publish profiles of winners, and help the selected teams showcase their projects at conferences. This article was written by Mariano Blejman, an editor and media entrepreneur specializing in data-driven journalism, is an ICFJ Knight International Journalism Fellow. Originally written in Spanish, this post was translated by Andrea Arzaba. The post originally appeared on IJNet.org. IJNet helps professional, citizen and aspiring journalists find training, improve their skills and make connections. IJNet is produced by the International Center for Journalists in seven languages – Arabic, Chinese, English, Persian, Portuguese, Russian and Spanish – with a global team of professional editors. Subscribe to IJNet’s free, weekly newsletter. You can also follow IJNET on Twitter or like IJNet on Facebook.